2. 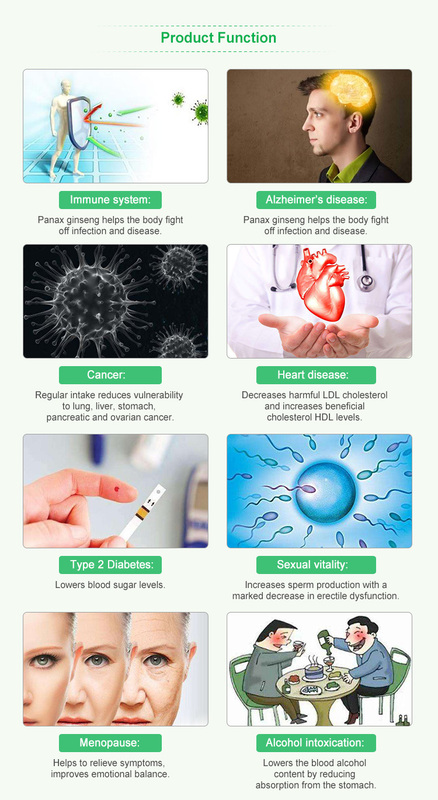 100% Natural herbal extract. 3. 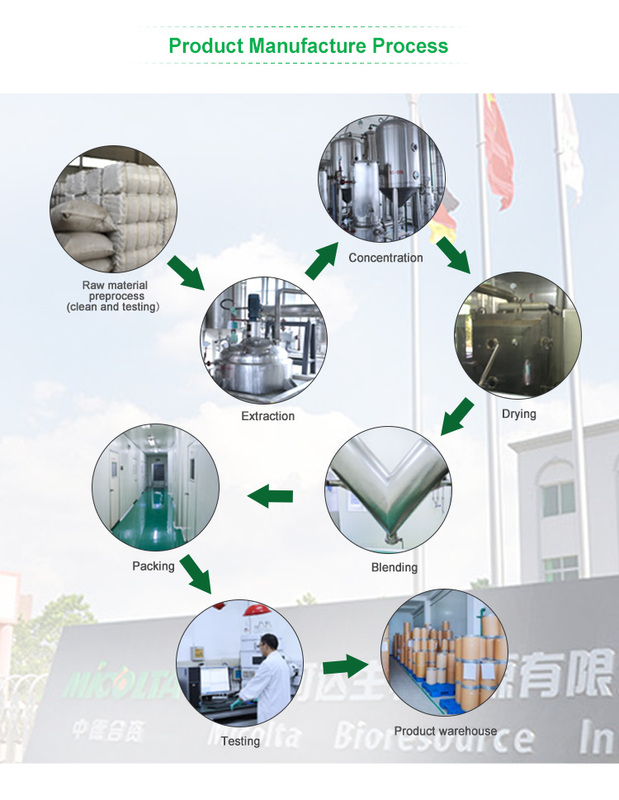 GMP, Kosher certified factory. 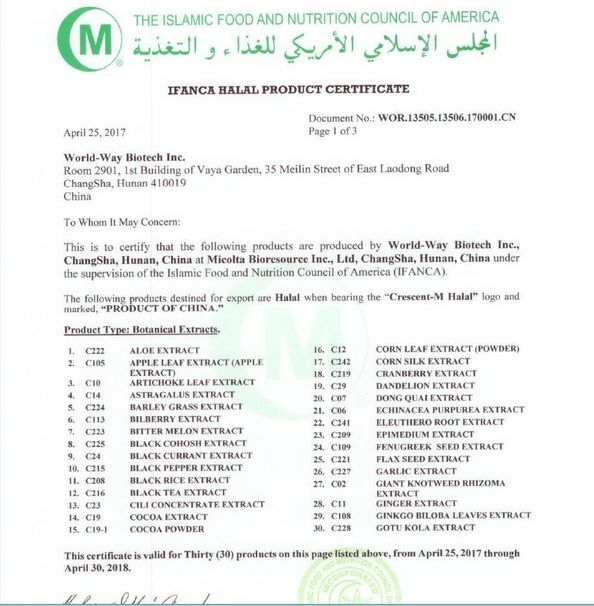 Non-Irradiation Statement This ingredient is not treated by irradiation and ETO. 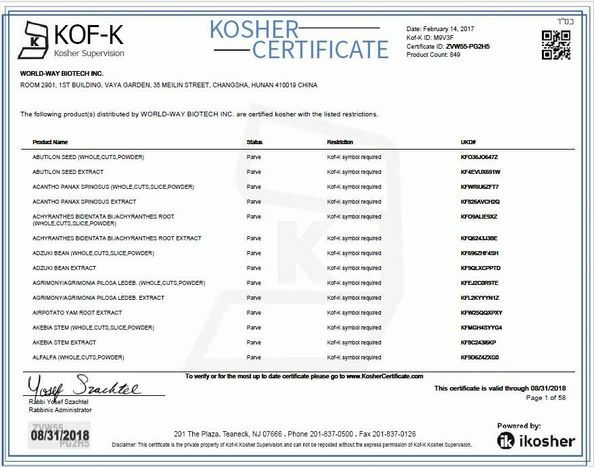 Kosher Status Kosher KOF-K Parve. 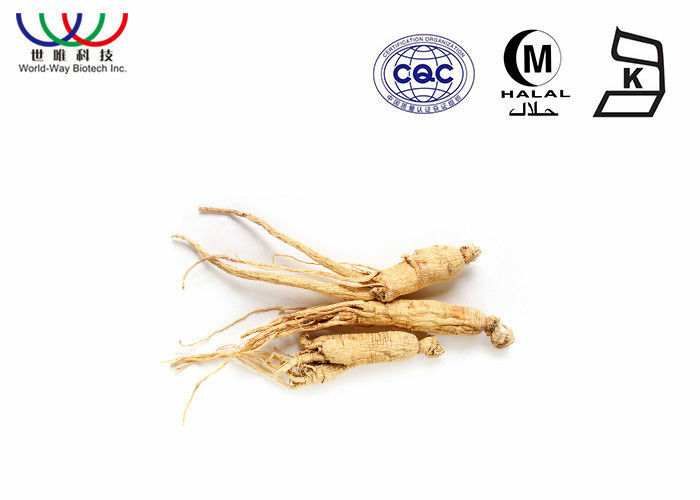 China is the origin of ginseng and has 2, 000 years of medical history in China; as the rare materia medica known all around the world, it has been included in many countries Pharmacopoeia. Ginseng Panax locates in the northeast region of China, North Korea and the Far East region of the former Soviet Union. 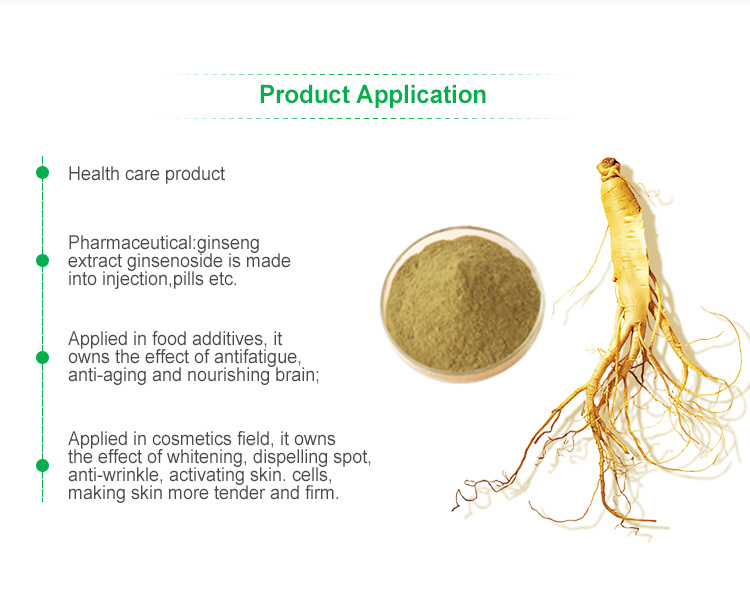 Extracted and refined from the Dried Root of panax ginseng. 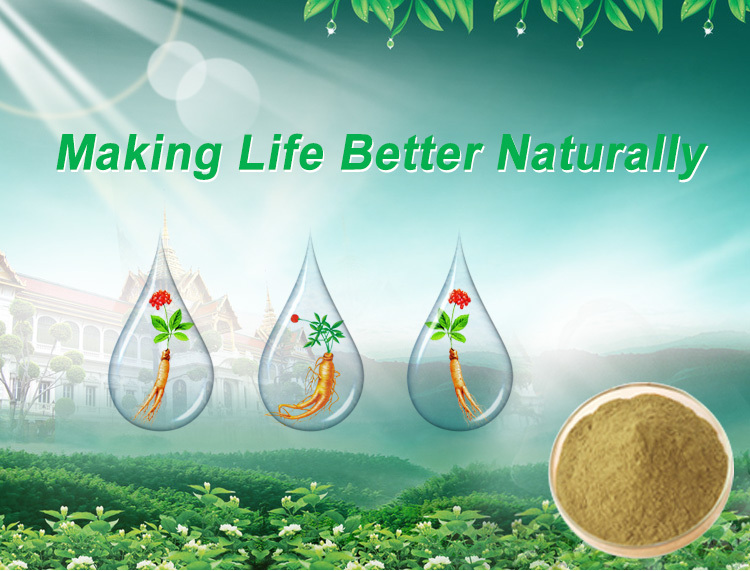 Specification: Total Ginsenosides content 10% Test by UV.